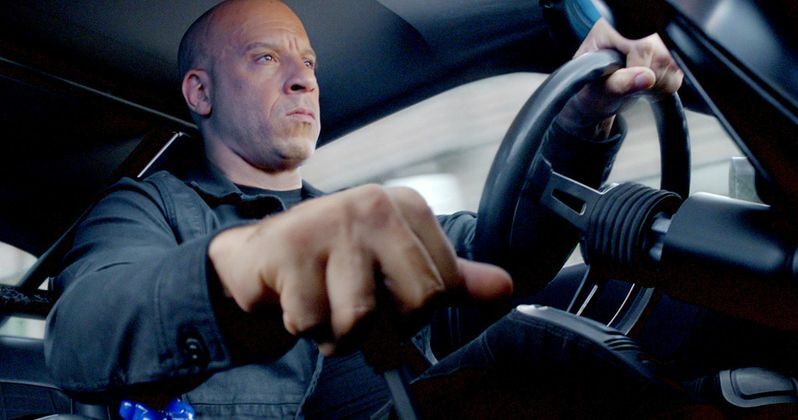 Fast & Furious 9 isn't coming our way until 2020, but Vin Diesel is teasing that fans should expect something even bigger than what we've seen from the franchise previously. That, by Fast and Furious standards, is a very tall order, especially considering how insane things got in Furious 7 and The Fate of the Furious. Not only is Diesel promising that the next movie in the franchise is going to be bigger, but he also teases that they may be going to Africa for the first time in the upcoming sequel. Vin Diesel, Tyrese Gibson, Ludacris and Jordana Brewster, who will make her return in Fast and Furious 9, recently were on hand to promote the opening of a new Fast and Furious ride at Universal Studios Orlando. During their visit, Today caught up with them and asked if Diesel could dish any details on the next installment. While he couldn't give away too much, he did give us a little snippet as to where Dom and the gang may be heading. Here's what he had to say about it. "It does get bigger. I just got off the phone with Justin Lin, who is directing Fast 9 and Fast 10, and I can't tell you how excited he is....We haven't been to Africa, I can tell you that. And we are long overdue." Justin Lin directed Fast and the Furious: Tokyo Drift up through Fast and Furious 6. During that run, the franchise turned into what we know it as now and become monstrously successful. So having him back at the helm for the next two movies seems like a great thing, at least from Universal Pictures' standpoint. We first reported that Lin would be returning to helm the next two movies in October of last year. Originally, Fast 9 was slated to arrive in 2019. However, Dwayne Johnson cooked up a spin-off with Jason Statham's character titled Hobbs that will arrive next year, which is to be directed by John Wick and Deadpool 2's David Leitch. That spin-off, as well as some of what went on during the filming of The Fate of the Furious, led to beef between The Rock and Vin Diesel, as well as Tyrese Gibson. For now at least, it appears as though the beef has been squashed, but it's still not a guaranteed that Johnson will return for Fast and Furious 9. The Fast and Furious movies have exploded in terms of global popularity with the more recent entries. Both Furious 7 and The Fate of the Furious grossed more than $1 billion worldwide, with Furious 7 eclipsing $1.5 billion. In total, the movies have made $5.1 billion, making it one of the most successful franchises ever. As such, we're getting at least two more installments, with Fast and Furious 9 locked in for an April 20, 2020 release date. You can check out the interview clip with Vin Diesel, courtesy of the Today YouTube channel, for yourself below.